Todd Siegel is extensively experienced in real estate management, leasing and development, and has spent nearly three decades in the industry. As Vice President, Commercial Investments for Passco Companies, Mr. Siegel directs the leasing and management of the firm’s commercial portfolio, enhancing each asset’s property value through operational efficiency, attractive tenant mix and proper positioning. Mr. Siegel also oversees the acquisition and disposition of retail, self-storage and industrial properties throughout the United States. 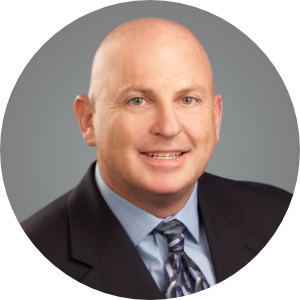 Prior to joining Passco over 12 years ago, Mr. Siegel worked with CalPERS/First Washington Realty and General Growth Properties. Throughout his career, Siegel has overseen over $2 billion of commercial real estate. Mr. Siegel holds a California Real Estate Broker License, a Certified Shopping Center Manager (CSM) designation from the International Council of Shopping Centers (ICSC), and a Certified Property Manager (CPM) designation from the Institute of Real Estate Management (IREM). He earned a Bachelor of Science degree in Business Administration with an emphasis in accounting from California State University, Northridge.